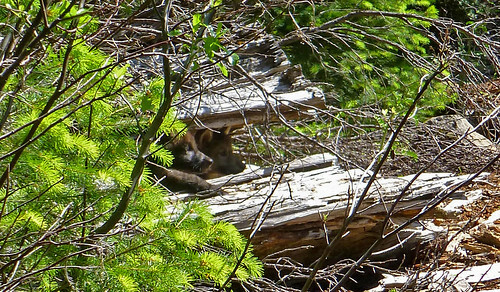 Two of wolf OR7’s pups peek out from a log on the Rogue River-Siskiyou National Forest, June 2, 2014. Photo courtesy of U.S. Fish and Wildlife Service.